Hello I’m Mark, Joe asked me to write a little bit for the blog about yesterdays Pre Grading event. 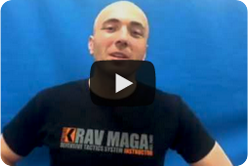 Firstly a bit of background, I’ve trained with the Institute Krav Maga UK since classes started in Hertfordshire. Somehow I’ve managed to miss all the pre gradings so far. Which is a shame and not just because that is 4 missed opportunities for a trip to the sunny paradise that is Harlow. But mostly because having experienced yesterday it would of made the last 4 gradings much easier. The training started with a big mixed warm up led by Joe, the good old touching heads and knees game is pretty entertaining with 100 odd people. More warming up including some running on the spot getting faster and faster. Interestingly Joe seems to be able to make everyone else up their speed to a sprint without ever really changing his. Once everyone was glowing a bit we separated into 5 groups. This is probably the best bit of the pre grading, getting the opportunity to train for 4 hours is good anyway but better when you have one instructor for each grading group. Better still when you think there were 3 Expert level instructors in the room. Joe worked with us on the P5 sylabus but also refreshed us on some of the techniques the lead up to it. Having that much time to concentrate on things you are likely to be tested on next month was great. At the end of a bruising 4 hours the feedback we got was invaluable. I’m sure everyone who was there yesterday will have a refreshed focus on the techniques they want to improve this month. So basically a great day, I know certainly in the P5 corner we had a lot of fun. I’d kick myself for missing the other pre gradings but luckily my training partners kicked me enough yesterday that I’ll not worry about that!